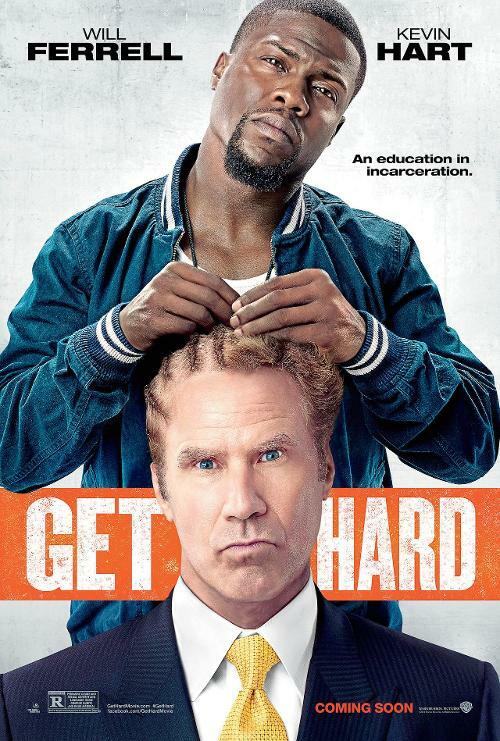 Two comedy kingpins, Will Ferrell and Kevin Hart, have teamed up for the new Warner Bros. comedy Get Hard. There are a handful of comedians that can carry a comedy. Putting two in the same movie is guaranteed to get the attention of everyone, even the most novice moviegoer knows about this film. This trailer reminds me of just how funny Ferrell and Hart are. Hopefully their individual talents will work work well together onscreen. They’ll either been as successful as 01′ Shaq and Kobe or the debacle known as ’12 Dwight and Kobe. For what it’s worth, trailer is only 2:32 but looks promising. Get Hard also stars Alison Brie, T.I, Jay Pharoah, and Mariana Paola Vicente. The film is directed and written by Etan Cohen who has writing credits for Men in Black 3 and Tropic Thunder. Posted in Trailers and tagged Alison Brie, comedy, Etan Cohen, Get Hard, Jay Pharoah, Kevin Hart, Mariana Paola Vicente, Men in Black 3, Tropic Thunder, Will Ferrell. Bookmark the permalink.